Edinburgh is Scotland’s capital city, and it’s primarily divided into the medieval Old Town, and the Georgian New Town. The city is full of some lovely medieval and neoclassical works of architecture, and features the Edinburgh castle as its centerpiece, which houses the Stone of Destiny, used in the coronation ceremony of the Scottish rulers. The entire city is a historicists’ delight with architectural landmarks from several different periods. When in Edinburgh, you should stay at a boutique hotel that truly understands the charm of the city itself, such as the ones listed below. The Chester Residence is the boutique hotel for you if you prefer peace and solitude just as much as you enjoy being connected to all the lively parts of the city. This hotel is located close to Haymarket station, on a street populated with some classy townhouses. If you want to walk amidst some boutique shopping outlets and cafes, then Princes Street is just a ten minute walk away from the hotel. This is a truly boutique hotel spread across four townhouses with 26 apartments between them. This makes it feel like being in a home rather than a hotel. The apartments have all been designed in neutral earthy shades of brown, beige, and grey. The hotel has a really moody vibe about it with dim lighting and sensual furnishings by Louis Vuitton. If you decide to spend an evening indoors, you can order from their cocktail masterclass menu, and you’ll always have a concierge willing to tend to all your needs. Some of the apartments even come with TVs at the end of the bath in case you’d like to be entertained while taking a long hot bath. This is also perfect for people who are visiting the city for a longer period of time because the apartments come equipped with kitchens in case you want to do some cooking yourself. 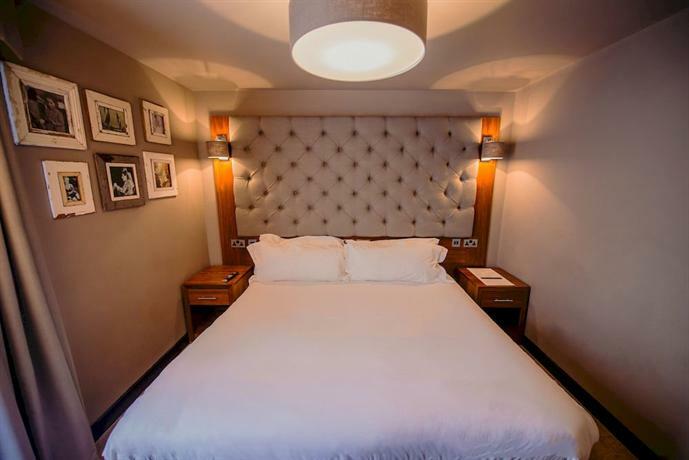 This charming boutique hotel is situated smack right in the middle of old Edinburgh, really close to the Royal Mile, opposite St Giles Cathedral. The hotel places you within walking distance of the Greyfriars and all the national museums and historical landmarks that go with it. If you’re a history enthusiast, then this hotel is sure to appeal to you. However, before you get a room in this boutique hotel, you should know that you’ll be doing a lot of stair climbing and descending in this neighborhood, and the streets are so labyrinthine that you’ll either find it absolutely thrilling or absolutely terrifying. The hotel itself has been constructed in the form of a 15th century tenements, but with modern stones, timber, and glass. As such, you get a perfect fusion of the medieval and the modern — exposed stone and brick fixtures with contemporary design elements. The entire hotel has a really intimate setting because it’s only got 14 apartments, of different styles and sizes. The best one of the lot is the Penthouse. However, all the rooms are unique in their own rights, and many of them feature a view of the Princes Street Gardens. These apartments have a really homely and lived-in feel about them, and they feature hand made furniture with oak floors and drench showers in the bathrooms. If you want an apartment that feels luxurious, intimate, and one that is connected to some of the most historic sights of the city, then this is the one for you. 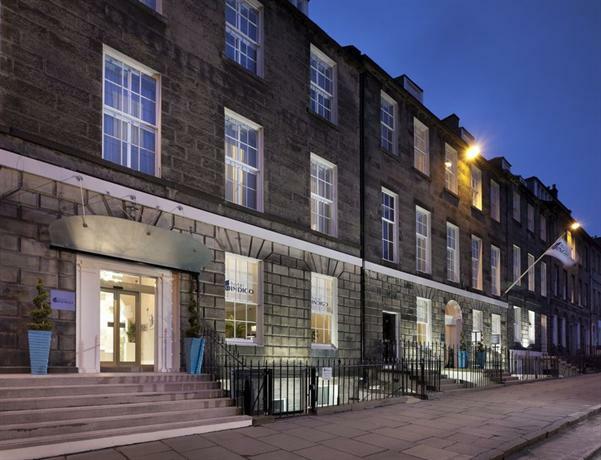 This boutique hotel is located in the Rothesay Terrace, and it’s just a short 10 minutes walk away from Haymarket station. The entire boutique hotel has been designed in a graceful and classy style, completely devoid of opulent frills and thrills. It’s soothing and pleasant, and provides you with all the comforts you could possibly ask for with crisp and friendly efficiency. However, if you want this room, you should know that you’ll probably have to make your booking at least a month in advance as all the rooms get booked quite fast. You can get rooms in the following categories — classic, grand, or townhouse. The latter of the three is ideal for people who are visiting in large numbers such as families, or for people who are visiting for a long period, as it’s more like an apartment rather than just a room. The rooms are designed in a warm and natural aesthetic featuring a lot of wooden fixtures and furniture. The room also has a fireplace, and large windows with a clear view, thus letting plenty of natural light in as well. If you choose your room just right, you might even find yourself in one with a private spa. 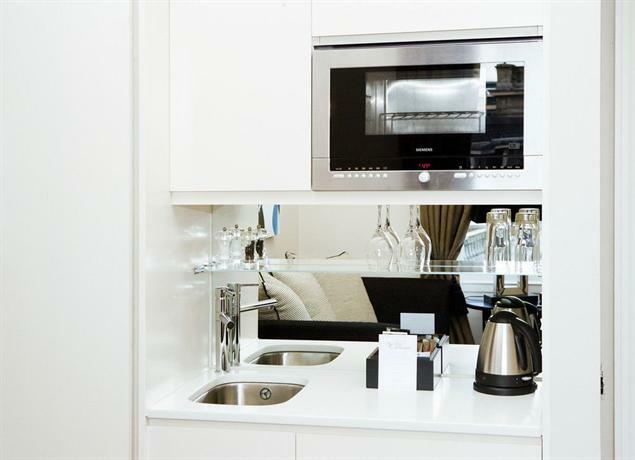 The town houses come with little fully-equipped kitchens with microwave, minibar, and all other amenities. 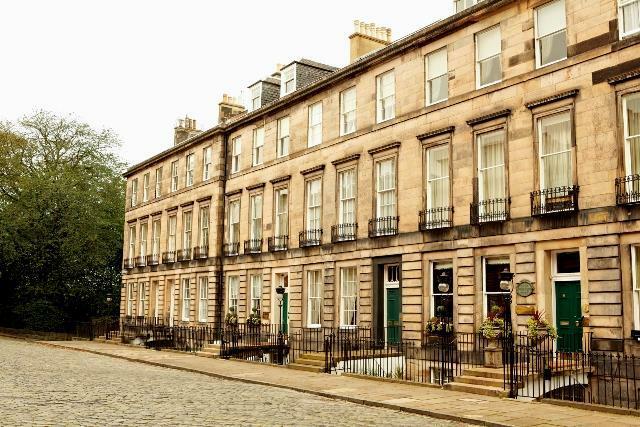 This is a charming boutique hotel situated between George IV Bridge and the popular Victoria Street. This location explains the ‘G’ and ‘V’ in the title of the hotel. Their placing the location in the title is well worth it considering this is the ideal location to be when in Edinburgh, equidistant from everything one could possibly want to see or do in the city. 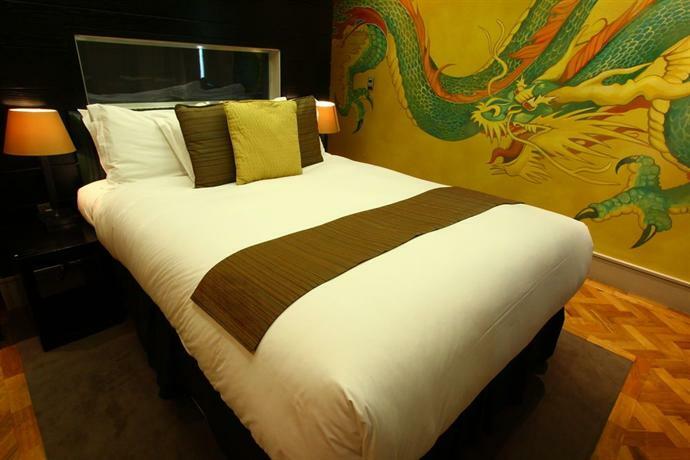 There are 136 rooms in the hotel, and as such its size is quite a lot larger than usual boutique hotels. However, it deserves its place amongst them because of its eccentric charms that sets it apart from all other run-of-the-mill luxury hotels. For example, the bedrooms feature paintings and pictures of the Edinburgh skyline, and the staff wear kilts designed by Slater Walker’s on the Victoria Street. As such, the hotel keeps the decor and the aesthetic of the hotel firmly grounded in the city, while also bearing Italian architectural flourishes, courtesy of the designer Missoni. 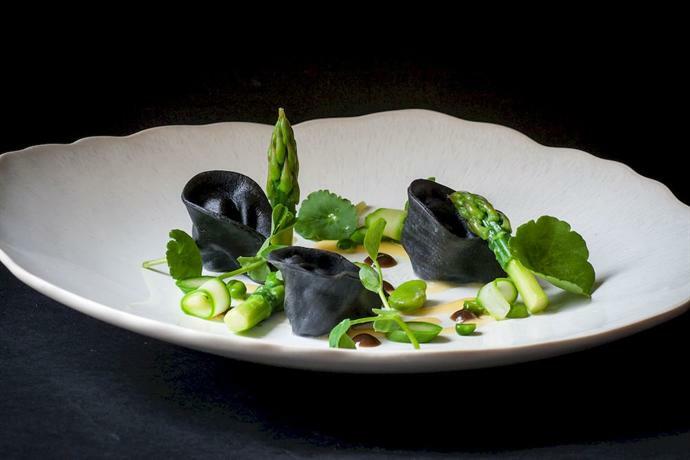 If you enjoy the clever thoughtfulness of a boutique hotel, yet don't much care for some of its excesses, then this is the right hotel for you. It’s just the right amount of thoughtful, without overdoing it on the eccentricities. The hotel also boasts some of the best views in the city. 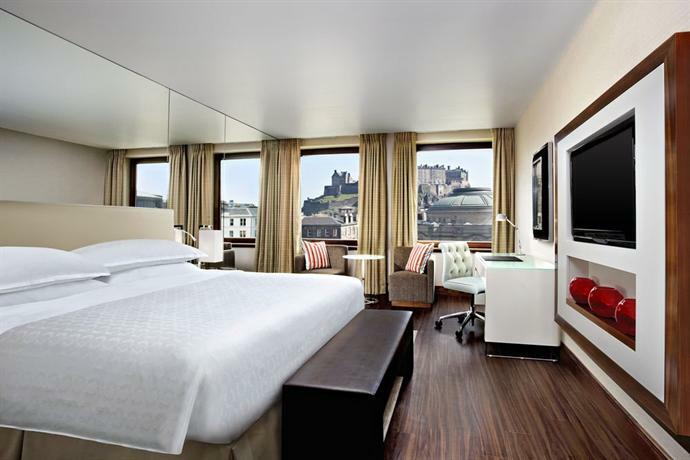 If you’re lucky enough to get room 507, you’ll have the privilege of looking out at the Edinburgh Castle. 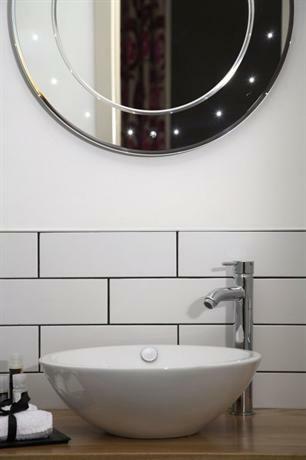 This boutique hotel is located east of the Princes Street, and is located quite close to the National Gallery and all the boutique shopping outlets in the area. This hotel derives its reputation from having been a railway hotel, accommodating illustrated personalities such as film stars, politicians, and even royalty. This hotel became a part of the Sir Rocco Forte collection in 1997, and was given a complete makeover by his designer sister Olga Polizzi. This little bit of historical charm gives this hotel the lived-in charm that draws so many guests to it. The hotel has 168 rooms, and 20 additional suites. If you want a room with a view, get some of the more expensive ones, as they look out at sights such as the Princes Street, the Castle and Arthur’s Seat. However, these rooms can often get noisy with the sound of the adjoining railway. If you’re willing to sacrifice the room, you can get some of the quieter inner rooms which also happen to be the cheapest in the establishment. The walls generally bear earthy neutral tones of beige, grey, and brown, however there are a few eccentric flourishes to keep it alive, such as patches of purples. The rooms also bear images of the Scottish highlands, replete with rolling mists, lush green valleys, and brooding evenings. Some of the bathrooms come with framed photographs of the iconic movie star Sean Connery. 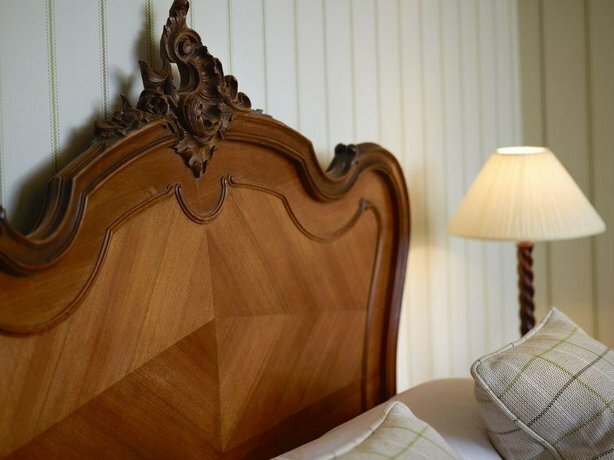 This boutique hotel is located on the west end of Princes Street, close to the Castle, the National Gallery, and other prime tourist attractions. This trendy hotel looks pretty plain on the outside, however the interiors of the hotel have been designed in such a way so as to emphasize effortless charm and ease. There are 12 rooms in the hotel and as such it’s also quite intimate, and it’s easy to interact with other guests. If you’d like to get a nibble, you can simply go down to The Huxley. The rooms have been designed in a bold and eccentric style with velvet cushions, stripe patterned chairs, and colorful wallpapers. 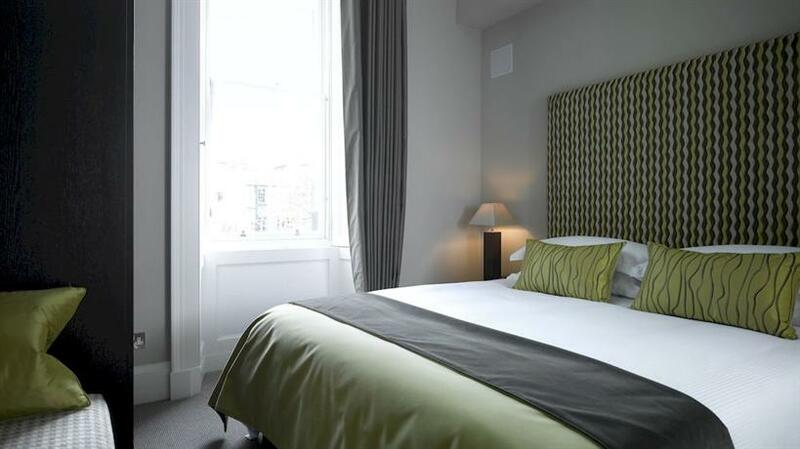 This boutique hotel is located in a prime spot, just west of Edinburgh Castle, and a quick walk from Old Town. The hotel looks glitzy and sleek, and has some really eccentric and quirky details that give it a distinctly eighties retro vibe. There are 269 rooms in the hotel, and as such it’s really quite massive. The general color palette of the rooms is that of neutral earthy shades of beige, and polished wooden sheen, with large glass walled bathrooms featuring deep bath tubs and walk-in showers. This boutique hotel is located on the eastern part of Queen Street, right next to the National Portrait Gallery. As such, it’s smack right on the main street which is always full of activity, however the rooms have been made in such a manner so that the sound doesn’t permeate through the walls. Hotel indigo is known for personalizing all of its hotels in such a way so that each hotel smacks of the heritage of the street on which it’s built. As such, if you’re someone who likes to gorge on tales of a particular city, then this is the one for you. The Bonham is a boutique hotel designed in the form of a Victorian townhouse. It features a psychedelic shift of colors that really makes it stand out amongst all other hotels in Edinburgh. For example, as you enter the lobby you’ll be struck by warm ceiling lights with a golden flush, polished deep wood paneling, and carpets in a motley of shades. The walls are lined with modern works of art, and the furnitures have been designed in eccentric styles, such as the crimson spiral sofa. There are 48 rooms in the establishment, and one of them has a beautiful copper bathtub. This is a boutique hotel located in the quirky vicinity of Stockbridge, which is replete with charming cafes, and boutique shopping outlets. The hotel gives off an otherworldly charm with its grand fireplace, the spiraling carved marble stairway, and the retro bar overlooking the Queen Street Gardens. There are 25 rooms in the hotel, and they feature a warm color palette, opulent amenities, and a view of the city. This is widely considered to be one of the most hip and trendy hotels in all of Scotland. One of its main attractions is the Vermilion Restaurant where guests can feast upon cuisines from across the globe. 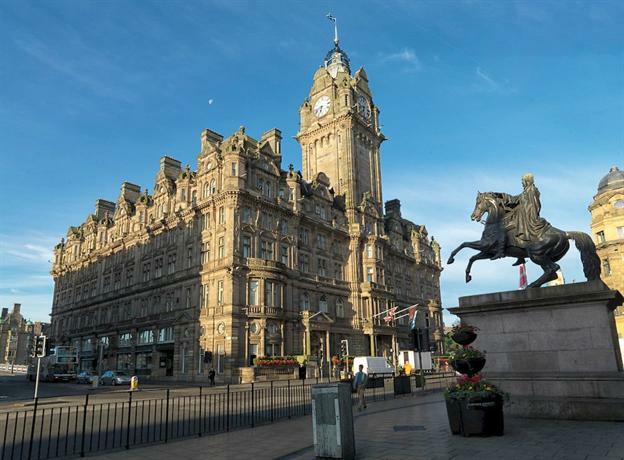 The hotel is located in the vicinity of the Waverley Railway Station. It features 69 rooms and suites, all of them furnished exquisitely, despite the fact that all of them are unique in size, shape, and aesthetics. 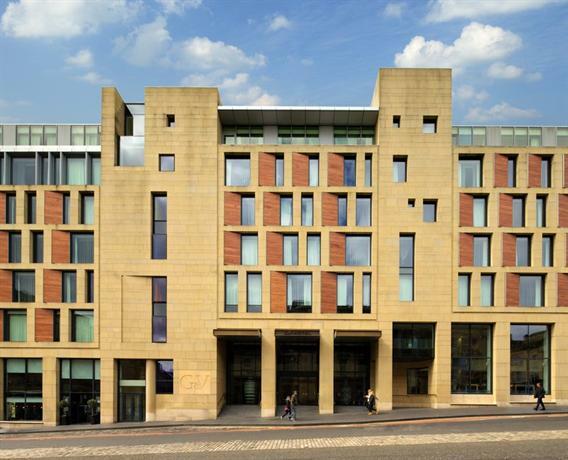 This boutique hotel is located on St Giles Street which is really well connected to some of the other prime attractions of the city, such as the Royal Mile, the St Giles Cathedral, and even the Scottish National Gallery of Art. It has been established on a building that used to be an Edinburgh City Council building, and as such it features some of the best and clearest views in the city, with a high-Victorian architectural leaning. This interiors of the hotel have a boutique feel, with completely contemporary amenities and a modern decor. 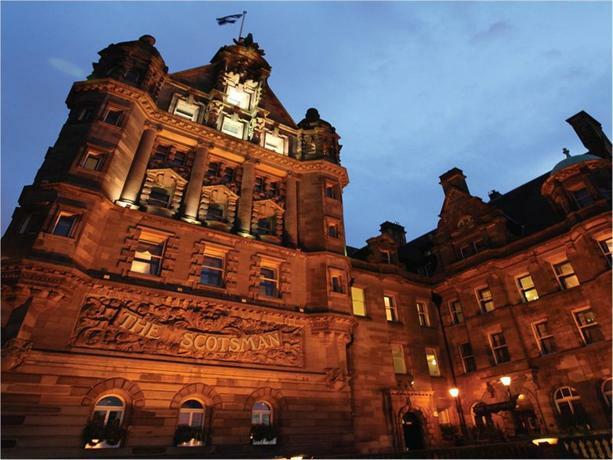 This is one of the most well acclaimed boutique hotels in all of Edinburgh with a popularity that is ever-increasing. In fact, it won the Scottish Boutique Hotel of the Year 2009 award. It’s very close to Princess Street, and as soon as you step out of the hotel you’ll be met with several classy restaurants, charming cafes, and boutique shopping outlets. One of the most eccentric details of this hotel that makes it so beloved is the fact that it has 18 rooms, and all of them are designed and named after some of the most popular cities around the world such as Los Angeles, Paris, and others. 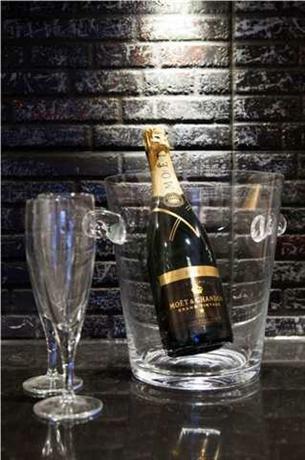 In addition to that, this boutique hotel also comes with 5 unique bars, a nightclub in the basement called Shanghai, and 2 restaurants! 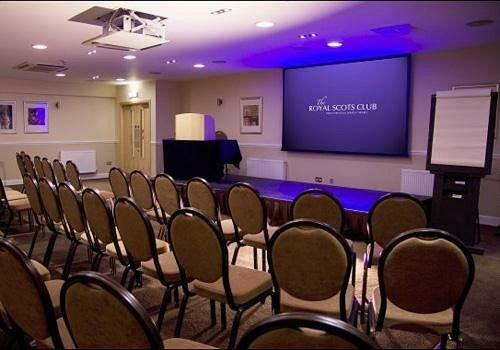 Located in the western end of West End, Murrayfield Hotel is in the ideal location if you’re in the city for the Murrayfield stadium. However, it’s also close to all the tourist stops so it’s ideal for most people. The interiors of the hotel have been decked out in a cool grey aesthetic in entirety. This might seem like it would make the entire hotel cold and forbidding, but the cool grey is only used to offset some of the quirkier aesthetic details of the hotel such as the Moroccan-style lamp shades, the pale wood furnishings, and other eccentric and colorful designs. However, it all goes really well together. If you’re looking for a boutique hotel that is eccentric in moderation, and well located, this is a great hotel for you.